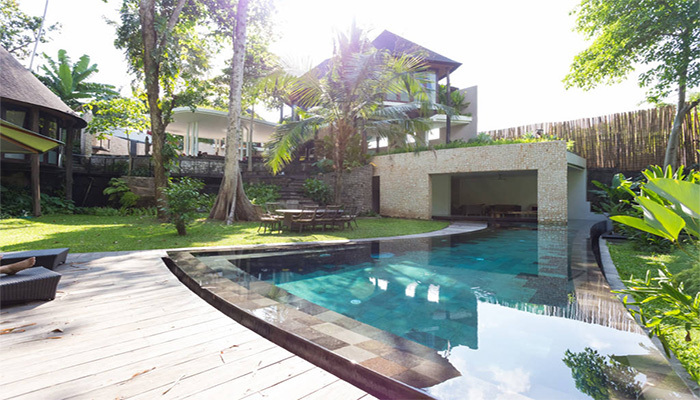 This beautiful “freehold” villa for sale has a prime location, just 500m from Brawa beach in Canggu. 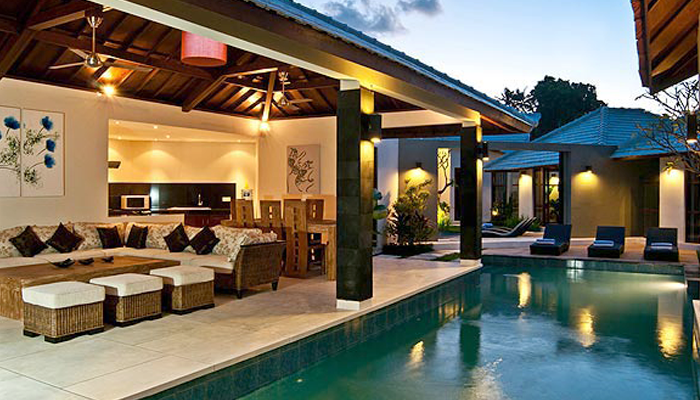 This area has become one of Bali's trendiest neighborhood both for tourists and expatriates. Offering a contemporary style, the property boasts three very large air-conditioned bedrooms, each with its own semi-open en-suite bathroom. The living room is widely open towards to the outside, it includes a living room, a dining area and a kitchen. 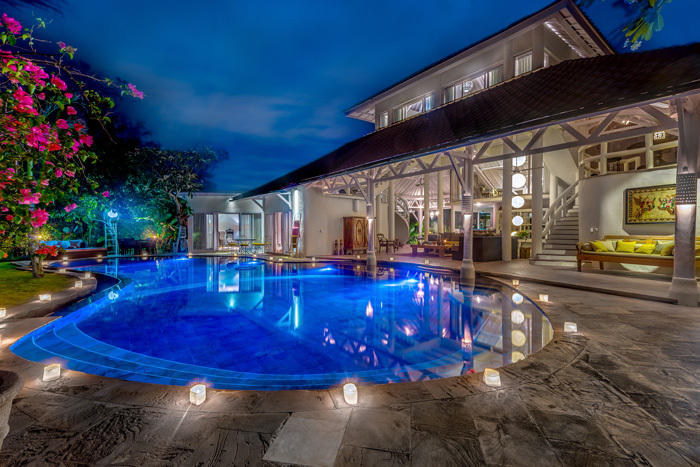 There is a beautiful garden and a large 10 x 5m pool adjacent to a superb relaxation gazebo. The villa is sold fully-furnished.